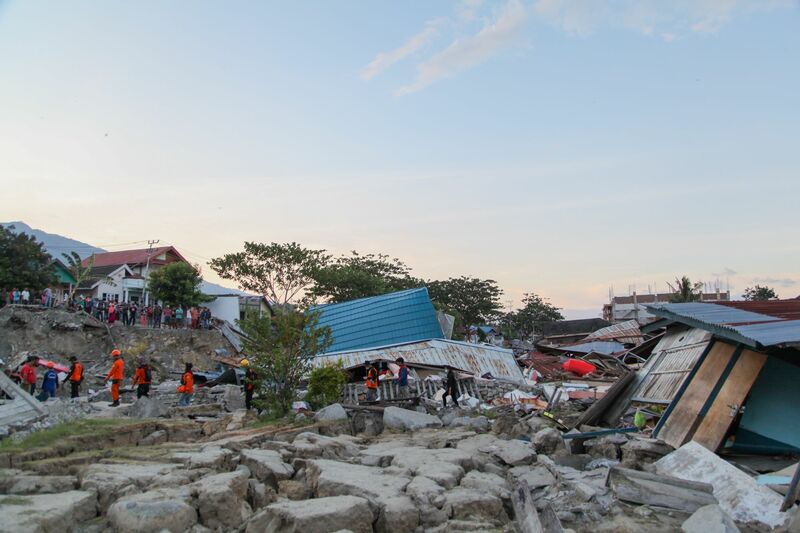 In the aftermath of the 7.4 Richter earthquake that hit the large Indonesian island of Palu and caused a tsunami, we&apos;re desperately working to reach 80,000 people who need our help. More than 1,400 people are dead, hundreds more are injured, and many more are still thought to be buried under rubble and mud. 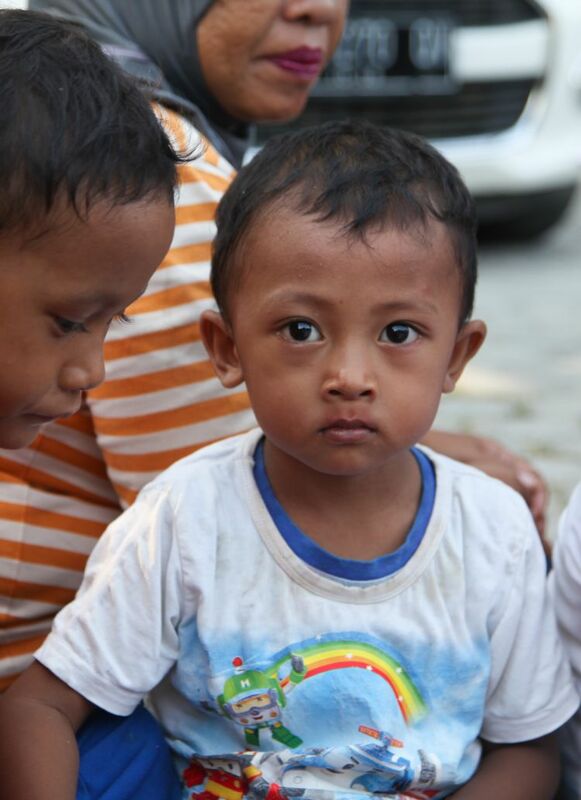 Our staff are already on the ground, providing infants and children with food. 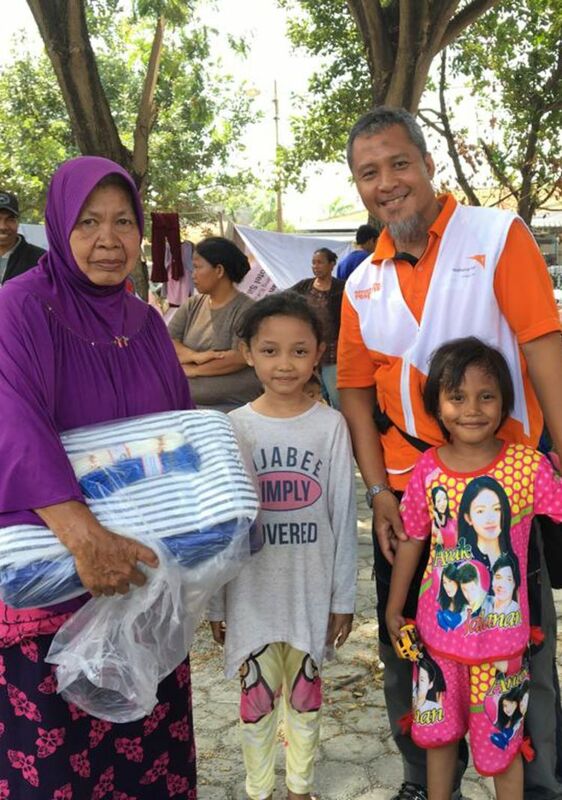 Tarpaulins and blankets have also been given to people in need of emergency shelter. 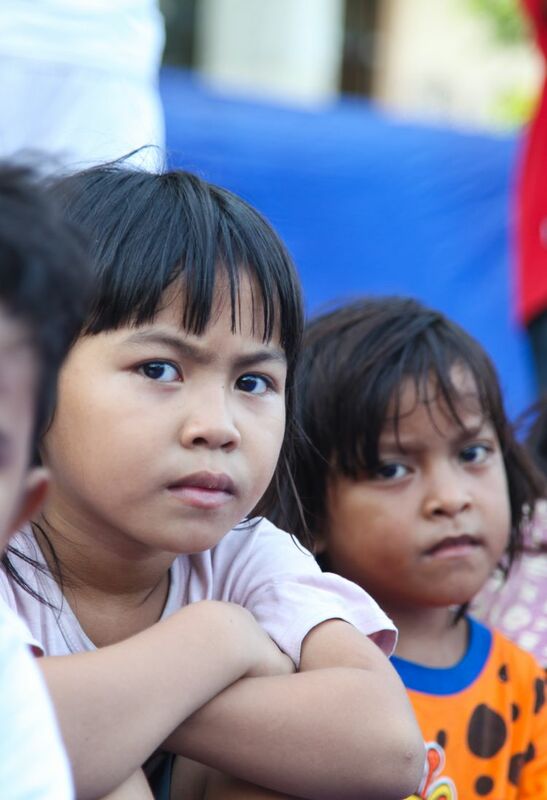 During emergency situations, such as the earthquake and tsunami in Indonesia, children&apos;s vulnerability is significantly increased when they are separated from their families, unaccompanied, orphaned or displaced. Child traffickers will exploit the chaotic environment that follows a natural disaster or a crises to engage in criminal activities. 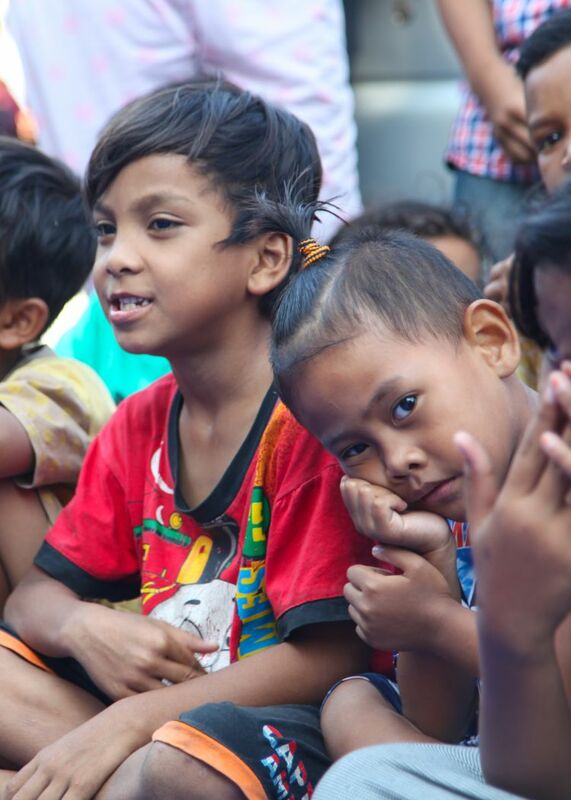 World Vision’s experience shows that in similar situations, traffickers engage in the selling of children for the purpose of illegal adoption, forced labour, organ trafficking, or sexual exploitation. This is the critical time for centres and lists to be established so we can keep track of the most unaccompanied or separated children, assist parents in registering missing children, and work towards reuniting families. Very strict monitoring must be placed at all borders and in all main transport hubs, including airports and train stations, in order to ensure that children are not illegally moved. We recommend that adults travelling with children are strictly monitored and evacuation camps are secured so unauthorised persons are kept out. The aid response is being hampered by the devastation that has knocked out power lines, bridges, damaged airport infrastructure and brought down water and power supplies. Roads have been blocked by landslides. People are reported trapped in collapsed buildings but there is a lack of heavy lifting equipment to rescue them. Communications with the area are intermittent with no news reported from some areas. Travel into the region takes hours with fuel running out. 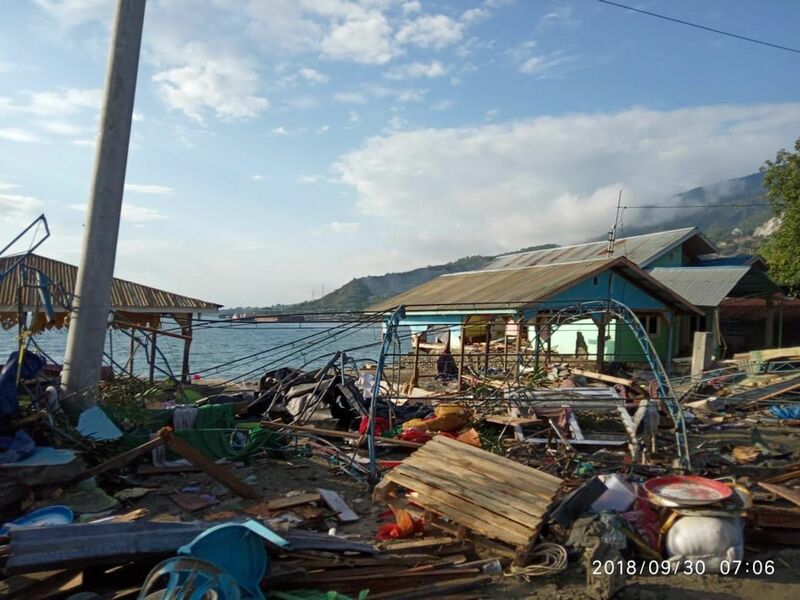 The series of tsunami waves that followed the 7.4 quake on Friday reached up to three metres, sweeping away all in their path and more than 150 tremors have been felt since. 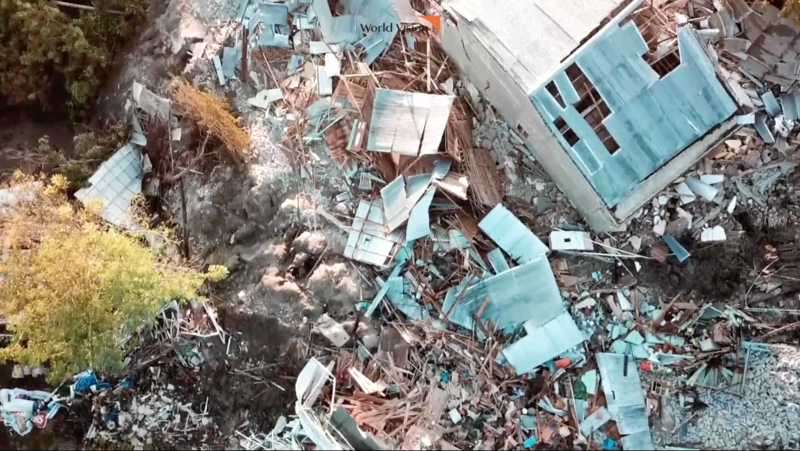 Staff reported seeing a coastline marked with devastation caused by the tsunami. Hundreds of people have been injured. 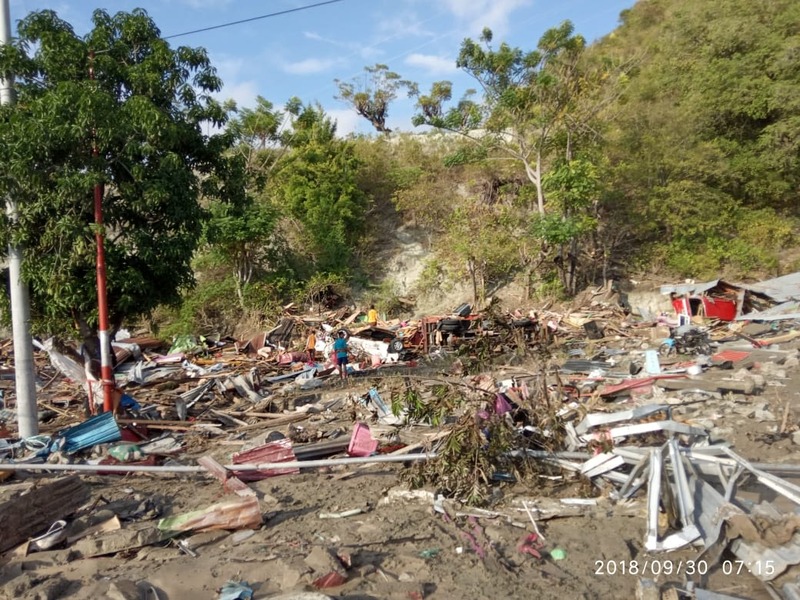 A total of 38 staff are currently working in the affected area where World Vision in Indonesia has development programmes that support thousands of sponsored children. 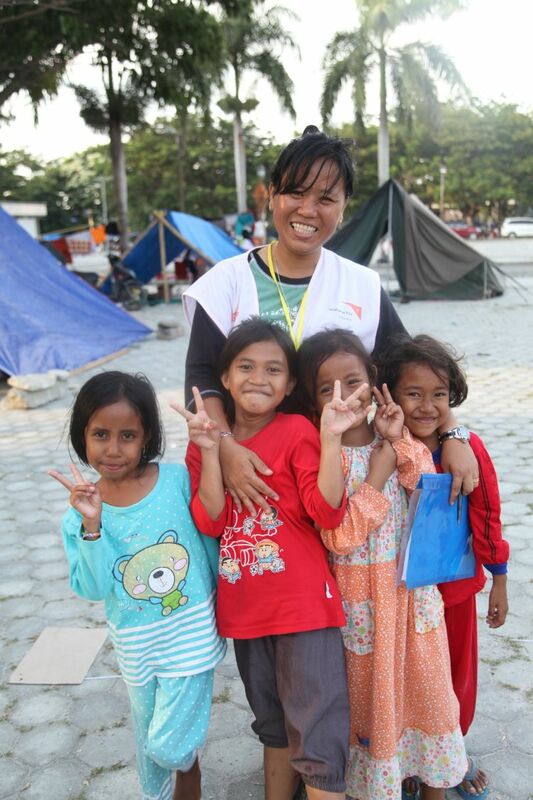 Staff homes have been damaged and a number of staff are now camped out at the World Vision in Indonesia office in Palu. 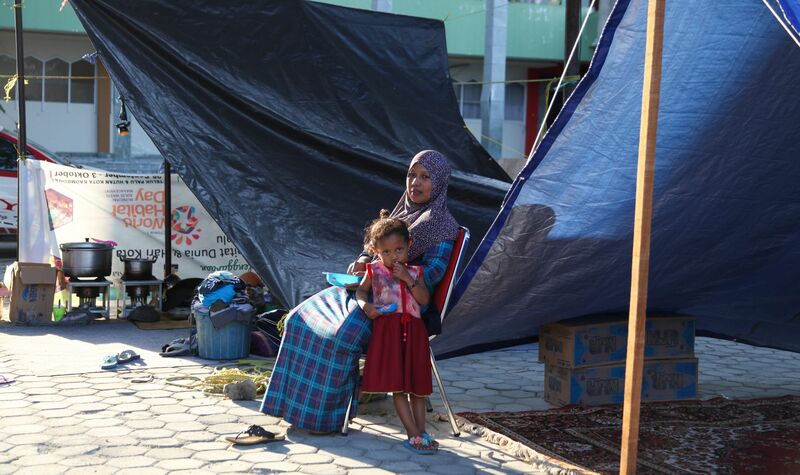 Pre-positioned supplies in Palu, including hygiene, family and children kits that will be dispatched as soon as distributions can be organised. 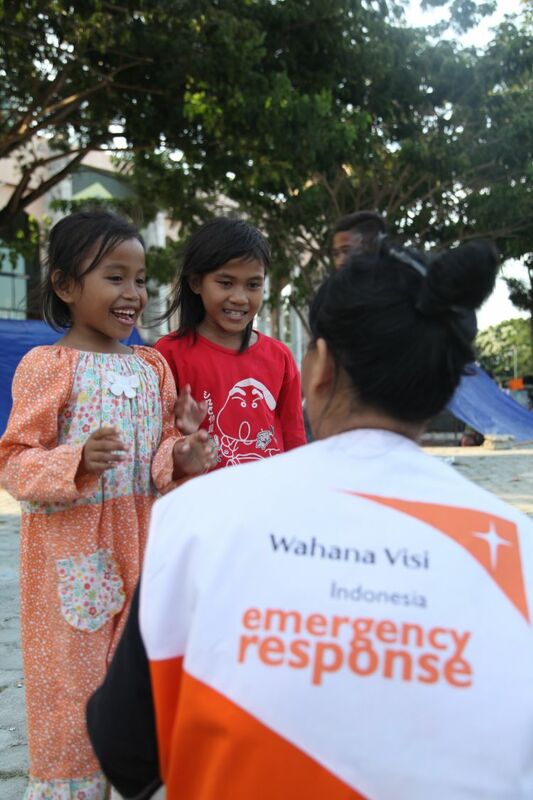 World Vision has worked in Indonesia for 61 years and was already responding to an earthquake in August that killed more than 400 people. Indonesia sits on the ring of fire, so-called because of the shifting tectonic plates that regularly result in earthquakes and volcanoes.